I’ll tell ya, things have been busier than ever for me. I am so grateful for all the work that has been coming in, but I do feel at times like I might explode. There are so many distractions (baby, child, home, family) lots and lots of wonderful, yet sometimes annoying distractions. It is really not easy working from home with small children to take care of at the same time. 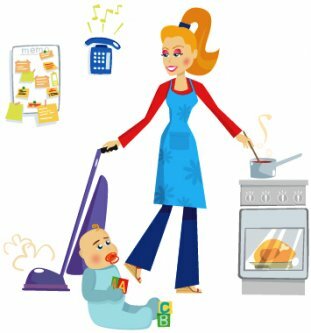 Sometimes I feel like I am invincible and I can do it all – yeah my “super mom” spirit tends to kick in at times. But then the next day I am nagging my husband, and snapping at the kids. No, I don’t often do that, but when I do – it isn’t pretty. And why do I do that? Because I am exhausted, that’s why! I just get strung out and just plain tired from holding it all together and not taking one moment for ME. Of all people, I KNOW the importance of ME TIME. But do I have time to take it? NO!! Instead I am spending every waking moment going and going and doing and doing until finally I collapse. Am I complaining? Nah, maybe just venting a little bit. I guess this is just ME taking some actual ME time, right? LOL …writing about what’s on my mind…. taking the opportunity to identify what I am feeling – getting it out and letting it go. It sure has been a rough few months and yes, it continues on. So much drama this life throws at us. I am sure all of you (my readers) can relate. There are times of great joy and then times of great discouragement. But I have learned a long time ago that we cannot base our feelings on our circumstances. It doesn’t matter whether things are going wrong or going right – we have the power to take control the way we think and the way we act in the midst of the difficult times. My joy cannot be based on whether my day goes as planned or whether it doesn’t. So, I share all that, why? Because I needed to. Yup, it really does help to write. How about you? Are you going through anything right now? Sometimes it helps to lift someone else up when you are having a hard time yourself. I am here guys. I know I don’t have a lot of time to do work and things like that. But I do have free time when I am feeding the baby every 2 hours during the day and I use that time to pray. So, like I said, please share. I love to hear from my readers and I would love to pray for you. Thanks so much Beth. I really appreciate your honesty. Yeah, we all struggle. It doesn’t matter if we have 1 or 7 children. There is always something to get stressed about. But just think how great it was to spend all that quality time with your child before going back to work. So many moms have to go back right away and don’t get that opportunity. I do wish you all the best when you go back to work. It will probably be hard at first, but you will create a routine and all will fall into place. I hope things begin to calm down for you. .-= Bobbi Janay´s last blog ..What’s to Come =-. Hi I have been following your post when I googled pregnant with number four I think I saw your first Vlog, I am from England and found out last week I am expecting baby number four. Definatly not planned and I am a little worried at the moment about be able to meet everyones needs. I love your site. I am struggling with all day sickness right now whic began before my period was due. I fear this will be a tough pregnancy. How did you manage those early months with three other children. Hello Louise, I have to say that it really was not easy. My youngest was not even 1 yet when I was pregnant with #4. I had a tough time indeed. And having a newborn is easy either. But now that our new baby is almost 10 weeks old – things have gotten easier. I can remember how tough it was going from 1 baby to 2. And as you know, going from 2 to 3 was not as hard. So, now going from 3 to 4 – is easier still. And mine are all very close in age, so it is nice that they can entertain eachother. I am really happy. .-= Night Owl Mama´s last blog ..Custom Cheerleading T-Shirts by Just Jen =-.